Do you want to replace the often so boring original speedometer? 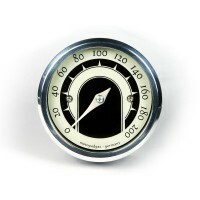 Here you will find stylish gauges with different styles! Cell Phone and GPS Car Mounts Stay Safe and Legal with Cell Buckle Cell Phone Car Mounts and ..
SPEEDOMETERSmall (49 mm) analog speedometers with old school, retro styling based on the streamline ..